Against a backdrop of rising economic and political turmoil, Zimbabwe has selected a group of artists to represent the country at this year’s Venice Biennale. Cosmos Shiridzinomwa and Georgina Maxim are the first to be confirmed. In January, a dramatic increase in petrol prices announced by Zimbabwe’s new president Emmerson Mnangagwa saw widespread anti-government protests. A violent crackdown by authorities followed, with social media and internet servers shut down. The upheaval has already delayed plans for a new biennial in the country’s second city of Bulawayo. Several of Shiridzinomwa’s works are currently on show at the Zeitz Museum of Contemporary African Art in Cape Town, in an exhibition of Zimbabwean art titled Five Bhobh: Painting at the End of an Era (until 31 March). 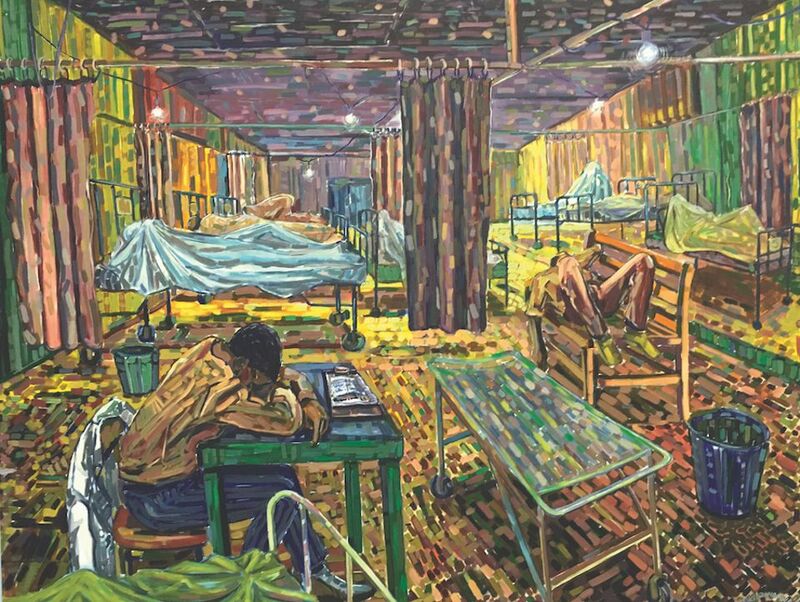 In the show, his works include Dying Faculties (2006), depicting a man with his head in his hands in what is presumably an HIV/Aids ward, and Mugabe’s Closet (2008), where an open door shows a well-worn jacket hanging over a pile of books and a human skull peeking out from underneath. A museum label describes the work as “a metaphor for politically sensitive matters that in the past could not be expressed openly”.